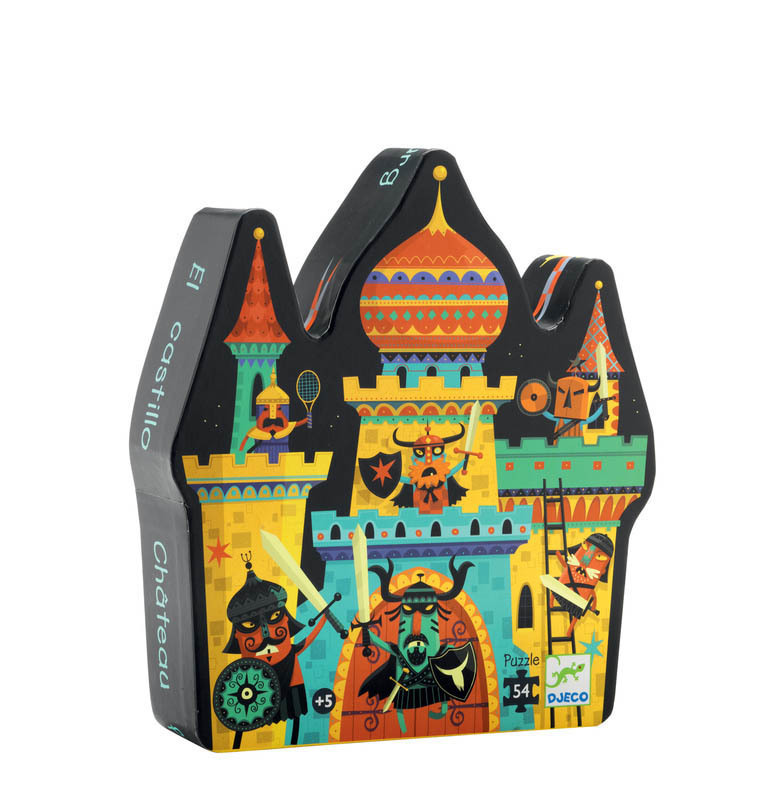 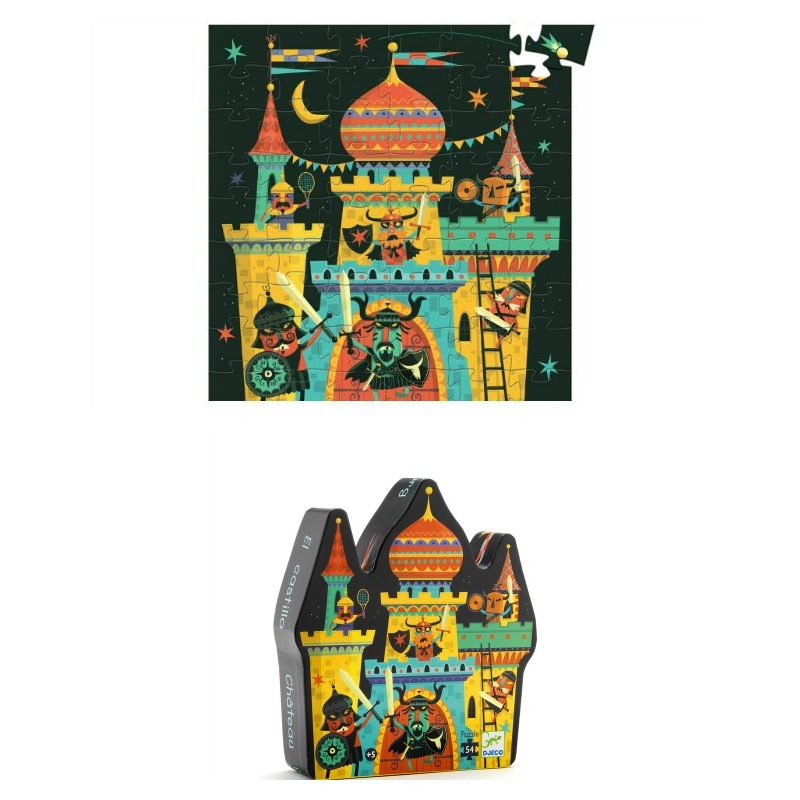 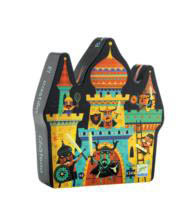 A silhouette fort castle puzzle featuring fierce bad guys and knights. 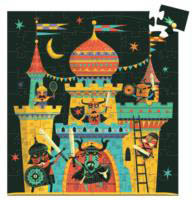 This 54 piece puzzle will encourage children to use thinking skills , problem solving and concentration . 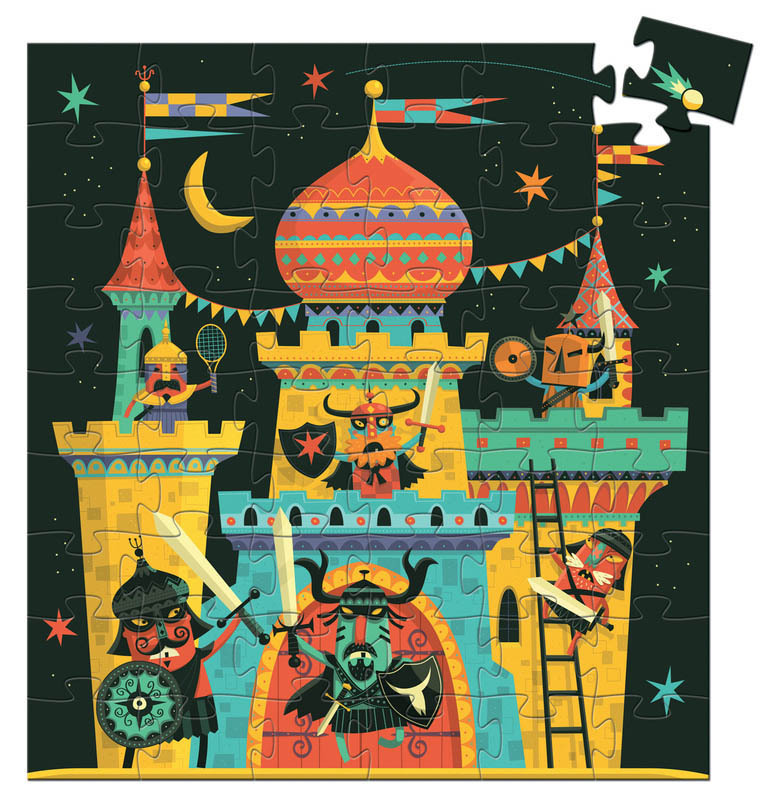 Each piece is a thick quality puzzle piece and the picture is a vibrant delight. 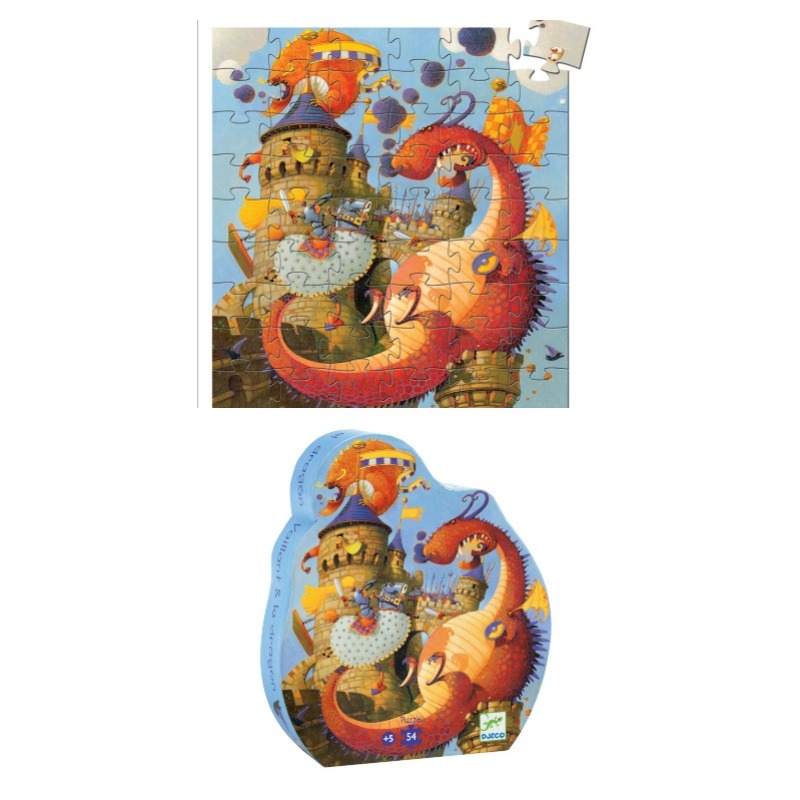 This puzzle also is part of the Djeco Silhouette set meaning it has a gorgeous sturdy box to keep the pieces stored away in and also making it the perfect gift .